From Colin Bentley, the original author of PRINCE2, comes a simple and straightforward guide to project management. This exciting development gets back to basics and demystifies a discipline which essentially is just plain common sense. Although the approach outlined in the book serves as a primer, do not conclude that it is only suitable for simple uncomplicated projects! As the title PM4A implies, it is for all types of projects and all levels of project management. The approach is fully scalable. Appropriately therefore, PM4A comes with two levels of internationally recognised certification and a digital badge to attest to your understanding. For both levels the tests are fair measures of understanding or capability – they are not designed with ‘trick’ or ambiguous questions. The ‘Understanding’ level is suitable for individuals from any profession to learn valuable project management skills. The ‘Applying’ level is for project management professionals who want to demonstrate their capability to manage a team or whole project using the skills provided in the method. This is a powerful and affordable accreditation managed by Acquiros. We unreservedly recommend the Acquiros 8-hour online course which can be purchased on their website for just $US100. Follow this link (Acquiros Online PM4A course) AND use the code DE2017PROMO at the checkout for a $10 discount. The book is available from Amazon as an eBook ($US9.99) or in paperback ($US50.00). This should be purchased by course participants as an ongoing reference. 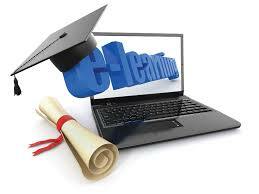 The PM4A Understanding examination can be taken online or at an examination centre for $US150. Details can be obtained on the Acquiros website when you are ready. Classroom courses are available on an in-house basis. Contact us for details or to book.